Nusanet has been our Internet Service Provider (ISP) business partner since 2013. We rely on their excellent service and support, as well their valuable knowledge and guidance in making sure our network is configured efficiently. Internet connection for guest 24 hours a day ensures by Nusanet. They also take care of events where the guest needs High Speed Internet Access (HSIA) with all the supporting devices. 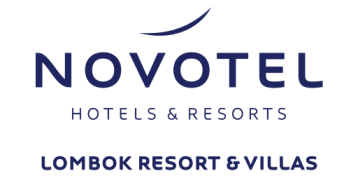 We would like to assure Nusanet that the Novotel Lombok Management team is well aware of the fantastic support provided for us during our contact period and even during the migration period to Telekom. Once again, thank you very much for your professionalism, flexibility and most importantly great partnership & cooperation. I wish you and your team all the success in the future.